For those who set a standard of excellence in their lives, Hillside Pointe in Claymont, DE, is prepared to meet it at home. Our management lives onsite which means that they share your concerns and can understand your needs. We are fully prepared to be the home of your dreams in a peaceful, convenient setting close to all your needs. Our community is centered around the pristine, charming Delaware River. The cities of Wilmington and Philadelphia set the backdrop for a unique and vibrant living experience living experience you'll be eager to call home. But you'll not only find ways to relax at Hillside Pointe, you'll also find a foundation of hand-picked features to enhance your life. Our community comes equipped with a resort style pool, playground, and 24 hour emergency maintenance so that you always have the help you need. We don't stop there, however. Our community features a wide variety of in-home amenities from wall to wall carpet, fully equipped kitchens, to spacious closets and unique features you won't find anywhere else. Residents with any lifestyle can find something to enjoy at Hillside Pointe. Hillside Pointe’s serene riverside location is complemented by some of the finest neighborhoods and schools in Claymont, DE. Our residents enjoy the esteemed sense of community that permeates our complex and its surrounding neighborhood. We even have sponsored activities to allow you to develop new hobbies while getting to know your neighbors!  Whether you've come searching for that sense of community, the quiet conveniences of premier apartment living, or a great location near business, shops, award winning schools, and restaurants, you'll find it at Hillside Pointe. We are right by I-95, providing our residents quick and easy access to area shopping plazas, local dining establishments, Wilmington and Philadelphia, making the work commute a breeze no matter where you are headed. Step into your comfort zone, and make your next home with us. AION allows residents to have dogs, cats and service animals. All animals must be housebroken. No breeding of any permitted animal is allowed. Additionally, the following breeds of dogs are not permitted or any mix of these breeds of dogs where the following breeds are 50% or more in your dog and verified by veterinary report: German Shepherds Akitas, Chow Terriers or Chow breed mixes, American Bulldogs, Bull Staff or Staffordshire Terriers, Doberman/Doberman Pinchers, (mini pinchers are permitted) Rottweiler's, Wolf dog hybrid, Pit-bull terriers, Presa Canario or any variety of Canary dogs. All residents with a pet(s) are required to sign the Pet Addendum and provide a photo of the pet which should be kept in the resident lease file.